In addition to just launching ‘Graphic Novels! 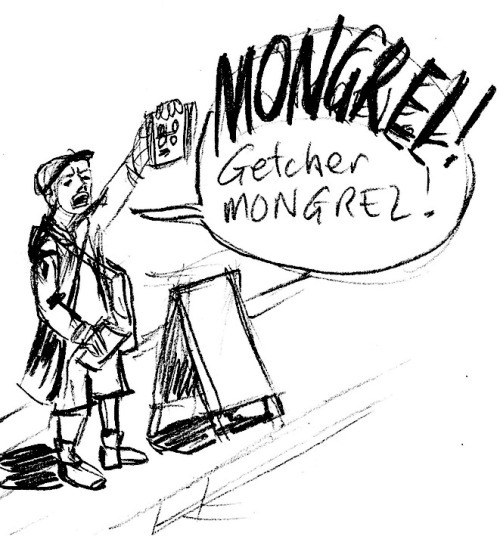 Melbourne!‘ comics impresario Bernard Caleo presents for ONE WEEK ONLY an excerpt from his crowdfunded ongoing serial MONGREL. Right-Click to download as PDF, EPUB, MOBI, CBR, CBZ. This entry was posted in Free Comics Friday and tagged bernard caleo, comic, comics, free comics friday, mongrel. Bookmark the permalink.